Every year hundreds of Russians and Caucasians leave for Egypt to get religious education, expand their cultural horizons and learn Arabic. Al-Azhar is an Islamic religious university in Cairo with more than thousand years of history, the foundry of divines for the whole Islamic world. Students from more than a hundred countries study here. Al-Azhar is not just a university, it is a whole system of institutions and institutes. A madrasah for boys, an Islamic research Academy, a huge mosque, an extremely well-stocked library with tens of thousands Arabic handwritten and printed books, newspaper and journal editorial offices, nine religious and secular faculties, and even a women’s college. That is why eyes of the people seeking for a chance to touch the origins of faith are fixed on this very place. To put it more exactly, you do not have to pay money for the educational process and attending the lectures. 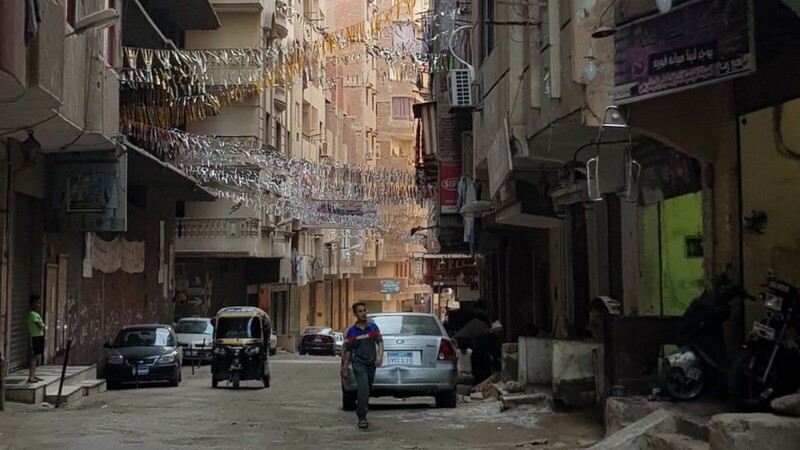 However, the situation inside Egypt has been very tense for the recent months, and the risk of being arrested with your family, expelled from the country or disappeared in Cairo detention facilities is quite high for a foreigner. Instead of a careless student life, the Dagestanis, Ingushes and Chechens studying in Egypt face an unpleasant quest. Constant ID inspections, attempts to get their friends, caught for having no visa or just ‘by mistake’, from police departments. — Why are you coming to Egypt? Why do you still come back here after you’ve been deported? — For many of us that is the only chance to get education and future prospects. As for me, I studied in an Ingush village, and my parents didn’t have funds to pay for my education in a university. I wasn’t too well-prepared to enter a university by myself. Besides, I wanted to study religions and languages. My friends told me to join them in Cairo. Al-Azhar has no admission exams. Candidates are just enrolled under their documents. So I came and studied for four years. I have only one year to go now. — Life was quite easy in Egypt. Soft visa regime, cheap flats, and homies everywhere. Two or three years ago, when we were just entering the university, it was much calmer here. — Where else could we go? Jordan is too expensive. Mauritania? I know people who took the risk. It’s bare soil and sand. You can sleep tight, though. But you can’t go there with your family, the conditions are truly Spartan. Turkey? Too expensive and non-Arabic. Qatar, Kuwait, Saudi Arabia? The visa requirements are too tough. My working meetings with Caucasian students resembled spy operations. Each group of my interlocutors must not know of the other groups. I was prohibited from photo shooting, mentioning names or any data. I still do not know the last names of any of those I spoke to. That is how much they are afraid of being recognized. Before the trip I was instructed to not tell the border agent that I am a journalist. At the airport I was met by a volunteer, an Egypt citizen. The Russians who live in Cairo do not show up at the air gates. They say that special service officers that work there look for and seize foreigners. After the meeting with the students they strongly asked me to delete their numbers and messages from my phone. Otherwise, they said, my safety could be compromised as well. Salafy youth, oppressed and persecuted in their homeland, the Caucasus region, are now targeted by security service agents in Egypt. They are often suspected of ties with ISIS terrorists, raising funds for militants, or being supporters of the ‘Muslim Brotherhood’ banned in Egypt. Previous months’ terrorist attacks in the country have definitely not brought more peace to the people, police or visitors. It is quite warm in Cairo in winter, from 12 to 20 degrees. You may wear a lightweight jacket without any hat, and not heat your house in daytime. A flat can be rented for 150-200 dollars, or even a hundred bucks, if you look for one in a slum district. A small one, of course: a living room, a tiny kitchen and two little bedrooms. Usually such flats are rented by family guys or two or three bachelors together. They arrange their duty schedule, and tidy up the flat and wash up in turns. One of such flats is inhabited by a Chechen and an Ingush. I asked them how they rubbed through the recent period of the nationwide debates over the established border between Chechnya and Ingushetia – did they quarrel? “Oh, not at all! – the two friends assured me, – we respect other people’s opinions and didn’t even have any argument with radicals over the border matter”. And then the kitchen duty man (on that day it was the Chechen’s turn) brought us some tea. The indispensable interior features in students’ flats are a desk and a tall bookcase with Arabic literature. Quranic sciences, science of hadith, Arabic and English – all of these subjects are thoroughly studied by Al-Azhar students. Some practice graphic arts and plan to go into manual writing of Quranic verses on mosques. 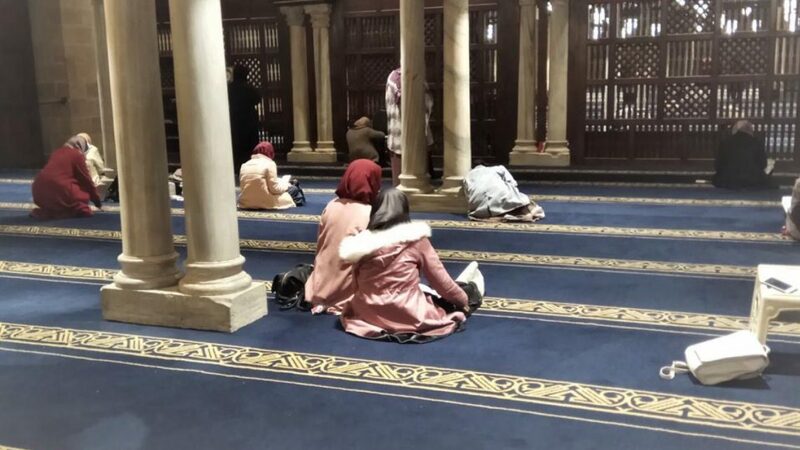 After classes the students gather inside a big university mosque and, sitting on soft carpets, discuss theology matters among themselves or with their mentor. In the evening, here and there you may see ‘hobby clubs’ sitting between the pillars – those are students and simple Islam believers of various religious schools talking amicably or doing revisions for their exams. 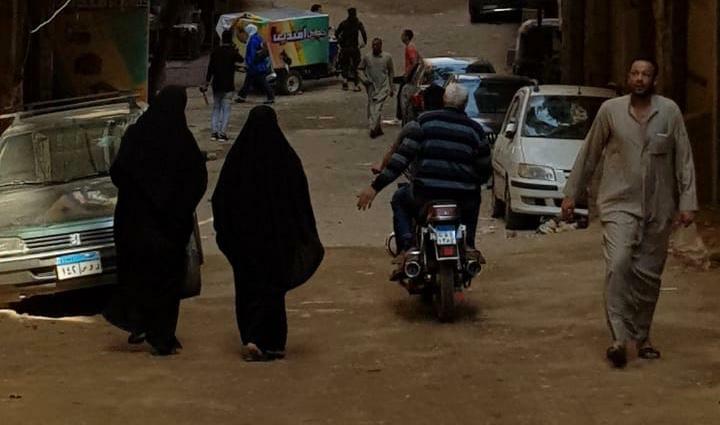 Caucasian women and Russian wives of Russian Muslims in Egypt wear black niqabs when outside the house. The women say that no one is going to persecute you for religious clothes here. The layer of black tissue protects them from street dust and unwanted attention and shameless (to put it mildly) glances and questions from immodest men around them. This is especially important for Russian women. Light facial skin stirs Egyptian men’s intense interest and wish to flirt. Once I saw some fully covered women in a store. Apart from hidden face and loose clothing that even covered their heels, they were wearing black gloves and black narrow mesh on the aperture for the eyes. They were speaking Russian with no accent and calling each other Nastya and Olesya. Tamara, the wife of a Chechen student, told me about their life in the strange land. About how they have to pinch and scrape. For example, she makes bread at home. 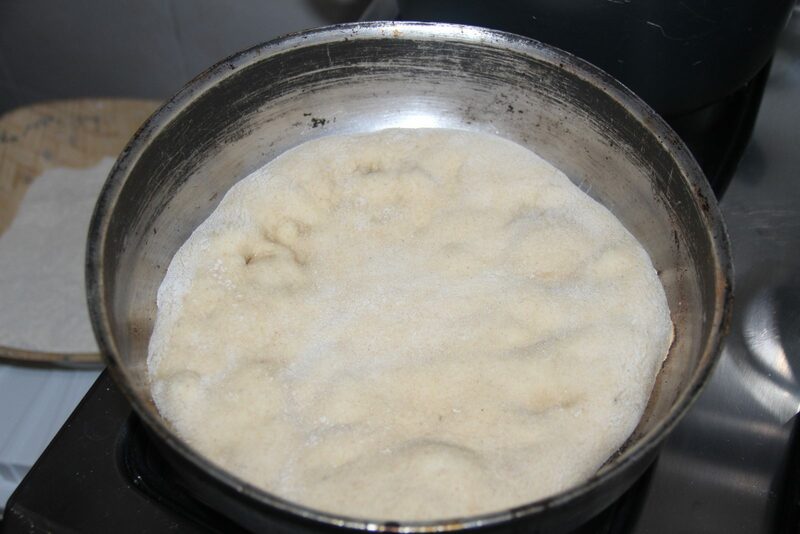 One kilo of meat is ten dollars, and a kilo of sugar costs 60 cents. Fruit and vegetables are quite cheap. Rumor has it that prices are going up soon. Electricity prices are going to leap in spring, and gas price is expected to rise by summer. Life in Egypt will get more expensive, while wages will not increase. A new spiral of social tension is coming. People get nervous, and so does the government. Students’ families feel more and more uncomfortable. Besides, school education is a problem. Tamara believes it is very poor here. She grew up in Chechnya between the wars, where teachers were almost unpaid. – Teachers in Egypt have very little wages, so you cannot demand a high quality of education. The only goal of education here is to observe formalities, so I have to hire tutors for my children. We’ve got a woman coming to our home to teach us Arabic, and a math teacher for the senior kids. It took two years for Tamara’s younger children to become true Egyptians. They speak Arabic better than Chechen. Girls have been wearing hijabs since they were three. They do not like going to the kindergarten, though. Kindergartens here are only private and very cramped. The room is usually an ordinary flat where kids have no space for active games. They are not allowed to go outside as well. As the result, kids almost never leave their flats, both at home and at the kindergarten. “And my husband was stopped on the street yesterday; they checked his passport and place of living”. “We heard them honk; perhaps the senior tenant turned us up? They’re all agents”. “Tuk-tuk” is an orange and black wheeled trailer, used as a private taxi. A “tuk-tuk” can take on board one to three passengers, and squeezed but pleased, listening to music (or not), they will get to any remote district of Cairo where you cannot go by public transport. “Those whose houses are raided, must warn everyone else here immediately and delete the group from their phones”. “And on your husband’s phone, too” “When the police come to raid your house, don’t you have more important things to think of? To my mind, the only thing you pay attention to is keeping yourself and your kids from being taken to a police station, not looking at your phone”. “Exactly, when they came to our house, I didn’t even know where my phone was”. “And also they immediately take your phone away, and forbid you to look at the screen; we’ve had a raid once. They can even seize it if they like it”. The discussion stream intersperses with prayers, Islamic blessings and good wishes to be careful. We want to get that knowledge and give it to our children, spread it in our homeland, in the republic – this is how almost every Al-Azhar student I know describes the goal of their education. Some want to teach at madrasahs and universities at home. — Here, studying sciences in Arabic, you look at many things differently, – Ahmed says. Thin frame glasses and pensive look. Next to him there is a pile of books on Sharia law he has scrutinized since September. He has been studying for three and a half years in total. — When I was learning Islam in the Caucasus region, I thought there were things you could do and those you couldn’t. It turns out that it is not that rigid, there are controversies and you have to see into it, think, come to conclusions and make your choice. — Can you give an example of what you’re talking about? — For instance, if you touch a woman accidentally, then under the Shafi‘i school you have to make wudu once again before Salah, while under the Hanafi school you it is not a must. They refer to the Hadith where the prophet (peace be upon him) was sleeping, when Aisha approached him and he touched her and started his Namaz. The Shafi‘i school refers to the quote from another part of Quran, which says that in this case the ablution must be repeated. These are some of the controversies. But that doesn’t mean we have to cross swords, we still share the same religion. Direct flight from Cairo to Moscow. Students go to the airport alone, without any accompanying persons, because seeing off is dangerous. The police can find fault or even arrest you at the airport, if you seem suspicious or if you have violated parking rules. Concerning parking, it is a huge problem here. Half of the cars left near the departure hall have blocked the other half’s way. In case of an emergency evacuation no one goes anywhere even if they want to. In Moscow, the Caucasians who have arrived from Egypt are immediately taken to an interrogation and inspection: the police search their belongings, read their phone chats, capture their fingerprints, take their photos and even demand to take a saliva test. Besides, border officers ask them why they have been abroad for so long, where and what they have studied, and how they made a living. They find out and put down every little detail. Another three or four hours of the interrogation has ended successfully, and the student can continue his way and fly to his homeland, which is going to give him a welcome as warm as this one. Students on vacation and graduates of Al-Azhar definitely do not feel lonely in the Caucasus. They will necessarily be summoned to an interrogation at the FSS and visited by the local police officer during the first month after they have returned. Some are even met by FSS officers at the airports in adjacent regions, like Minvody or Vladikavkaz. An interrogation, a preventive conversation, and new inspections. The students say that all of this is no reason for dropping out from the university. Perhaps, their thirst for knowledge is stronger than their fear, if they are ready to pay such a high price for it.